We put the diesel Duster between a rock and a hard place earlier and we liked it very much, but the petrol version is not nearly as good. You should constantly remind yourself of the price tag if you want to forgive its shortfalls. The frequency with which you should remind yourself of the audaciously affordable entry price (€12,500 in Hungary) very much depends on where you use the car. If you happen to drive around town a lot you will soon begin to sound like you are chanting a mantra. The reason is the unfortunate combination of the petrol engine and the four-wheel-drive layout. 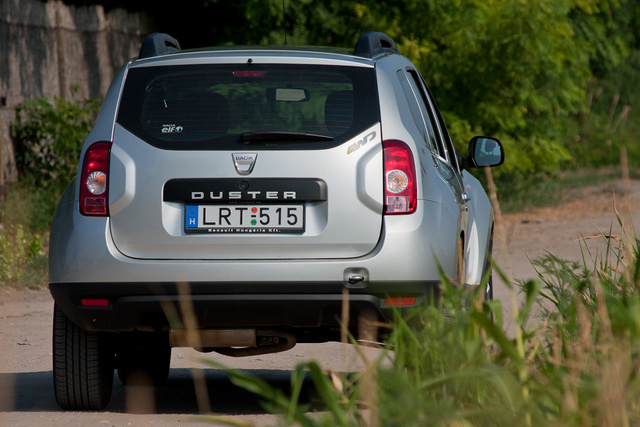 Factory literature will boast of the first gear of the 4x4 version being so short you don't even need a transfer gear: at 1000 rpm in first gear the Duster will do 5 kph. That means 4000 rpm at 20 kph, 6000 at 30. Of course there is no need to torture the cold engine to 6000 revs a minute but unless you want to fall back to a hopeless pit of torquelessness when you shift to second, you will need to bring your speed up to 20-25 kph before you touch that gear lever again. That makes acceleration an inconvenient and noisy affair in the petrol Duster –even while all you are doing is keeping up with the pace of traffic. 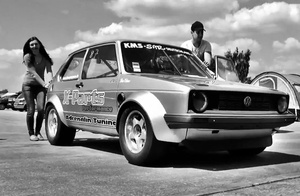 Even though at 1.25 tons the car is not a heavyweight, it starts to break a sweat just trying to get rolling. It has large wheels, four half shafts and the drive shaft, all spinning. And all those turning masses seem to swirl the air around the car into wobbly jelly as soon as you want to get going. 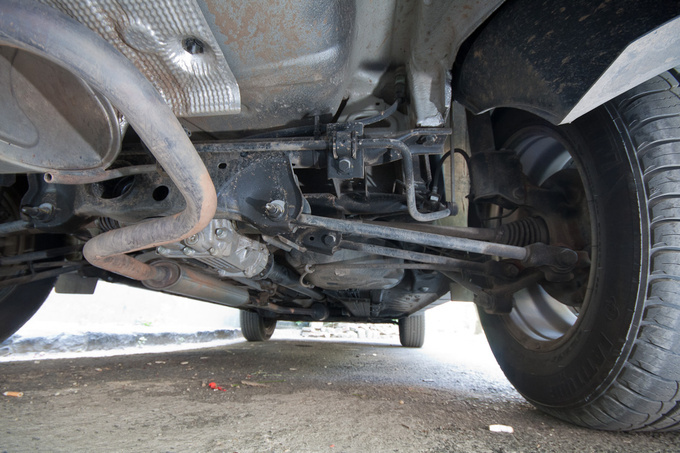 Rolling acceleration is just another issue that adds insult to injury. Suppose you are cruising on a country road at high speed. Flooring the pedal just won't make you go any faster. 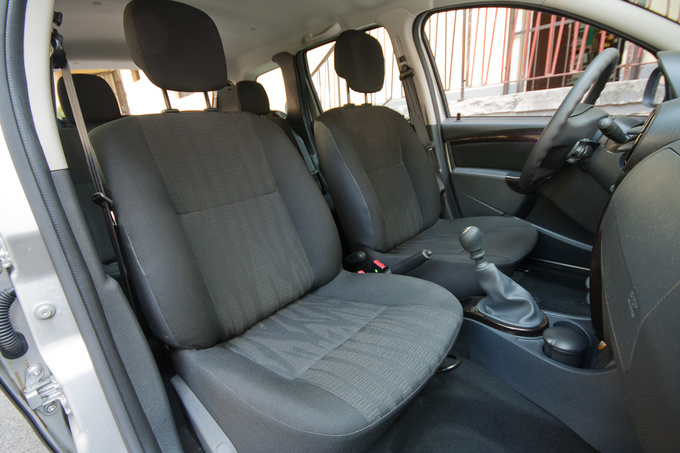 You need to shift down two gears for modest acceleration, more like three for normal pick-up. Diligence and patience will get you the desired results, you may even reach 130 kph on the highway, and then you shift to sixth and realize the engine is revving at 4.500 rpm. Not to mention wind noise. This is truly a shame because, apart from the constant bawl of the engine, the Duster isn't a bad car, really. 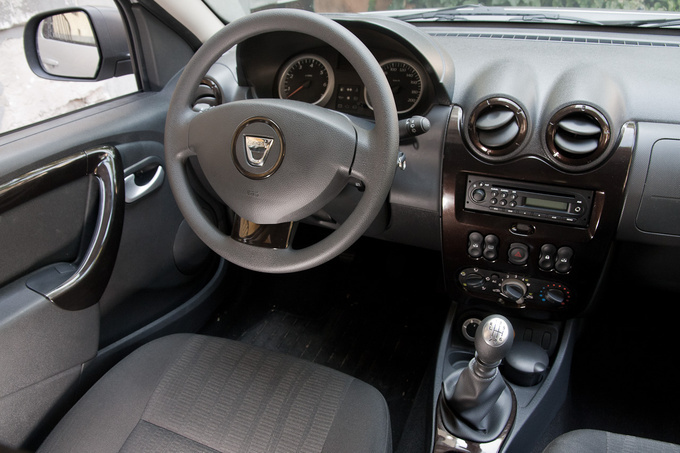 The perceptible quality of the interior is barely worse than that of a city car. And while it is made of crude materials it is solidly put together. Seats are alright too. Climate control is just about adequate for the interior volume, windscreen wipers have a hard time keeping the glass clean, and the radio is downright rubbish. It's time, then, to remind ourselves of the price again, and all of a sudden things seem more bearable. That's the sum you would put down for a small car that's just a tad above the average – a 100 HP petrol Clio Wagon with satnav, let's say. 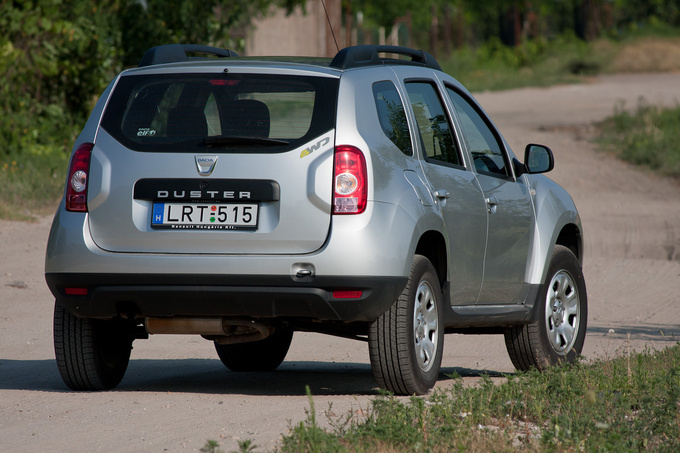 And the Duster is not only bigger, it also has off-road capabilities – not just for show, but for real. Ground clearance is 21 cm, front and rear overhangs are kept at a minimum, and since wheelbase isn't that huge either, this car will give the average user plenty of prowess for off-roading –certainly more than adequate to visit the summer cottage even in foul weather. You won't find wizardry under the floor, though. Clearance is good, and while the exhaust could have been routed in a technically more pleasing way, you don't really have to worry about bumping it against rocks and such. Rear suspension is very passenger car-like; those tubular swingarms are reminiscent of old Japanese cars. I certainly don't expect such a construction to be indestructible like a solid axle but this vehicle has been serving as a test car for a few months now and inferior constructions usually crap out by this time. Not this one. It is also very well tuned to local roads. Not overly soft, feels solid on asphalt yet gives you the amount of travel you need on dirt roads. The faster you go, the better it behaves. Brakes are powerful, ABS is set up well, too. There is a simple drum on the rear axle but it works, so who would complain for that price? Four-wheel drive is operated by an electronically controlled clutch: you set the different driving modes on the control knob. You can use the car in 2WD mode, leaving the rear wheels completely undriven. In Auto mode the system's CU calculates how much of the power should be split between the front and rear axles, but there is also a Locked setting for off-roading. The system is highly effective inasmuch as it really helps you get ahead, just as it does in the Nissan X-Trail and the Qashqai – actually, it has been adopted from there. I'd bet even the control dial is the same. If you intend to do some serious off-roading you may want to consider fuel consumption as well. As for me, I could not, for the life of me, do better than 11 litres/100km with the Duster which, combined with the sloth-like dynamics, is nothing short of a catastrophe. Which is why I must conclude that the 1.6 4x4 version just does not make any sense. If you want the car for the looks, forget the 4x4. Pure FWD will certainly keep the consumption down and the driving dynamics up. With its inherently high built the car will not get stuck easily. Sure, it is less capable on ice or snow but for ten thousand Euros that's a compromise you can certainly live with. Especially since this is one good-looking car, a perfectly good choice for fooling around or picking up girls. On the other hand, if you do need the Duster to excel off the beaten path there is no question that the 1.5 diesel is a better choice, especially if you live in the hills. Based on our previous experience, fuel consumption will probably never exceed 7 l/100km, which is a huge step up from 11 l/100km (or ten if you are really-really good, but kidding aside: ten litres?) Also, the diesel shows no signs of being overwhelmed, nor is it a sloth like the 1.6. I will admit to one thing though. You cannot compare the Duster to anything else because you simply cannot buy a similar car for this much money. In a nutshell: if you cannot afford to fork out another 2500 Euros for the diesel, this is the perfect vehicle for you. 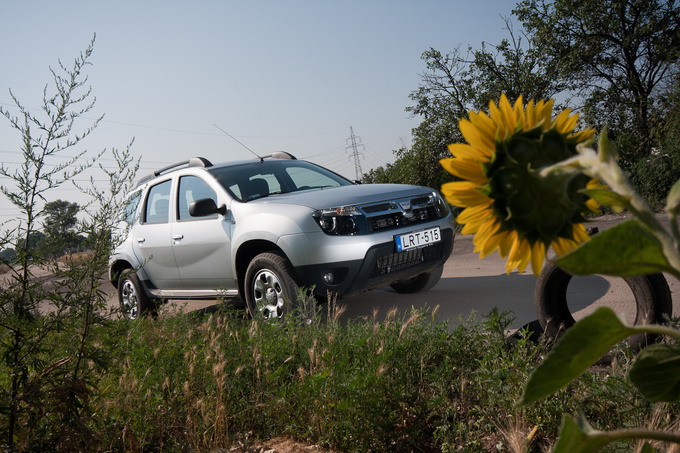 The petrol-engine Duster is a viable choice if and only if you have no other choice. If you are short of dough you will love this car, just as much as you'll love the cash you have saved buying it. If you have more money, get a better car. You are not a Dacia customer then. I have read you test of the Yeti and your colleague's review of the Duster. I wonder if you plan to arrange a comparison of the two cars? At first it occurred to me as well that we should compare the Yeti and the Duster. When I get these ideas I usually take a look at the price tags of the cars in question. We had a 1.6-litre petrol Duster on our hand, Arctic specification, AWD, manual air conditioning. Sticker price of 12,500 Euros, with few options. Or else, you could match a FWD Duster against a Yeti. That Duster costs a mere €11,500 (or you can buy one for a measly 9000 Euros, but that just does not offer the creature comforts we expect). A nice choice, except they are not currently available for a test drive. Unfortunately the driving dynamics of FWD and AWD Dusters are completely different, since they are equipped with different gearboxes, so it would not have been a valid comparison. Option number three – set up a diesel Duster (1.5 dCI 4x4, €14,400) against a diesel Yeti (2.0 TDI 4x4, €20,600) but then you'd have a €6.000 price gap to bridge. No matter which option we would have signed up for, the Dacia would have been set to fail in either case. No, it's not the suspension, which is as good as of the Yeti's. 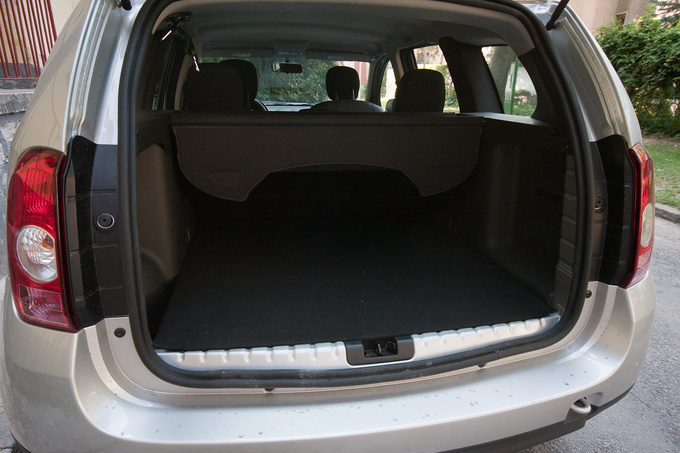 And the Duster in fact is slightly more roomy than the Skoda. 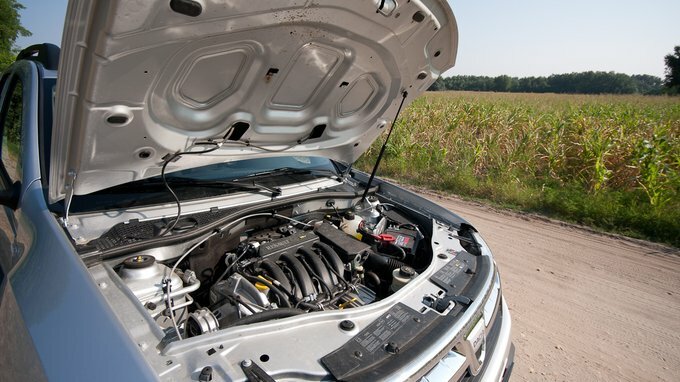 It is clearly inferior, however, in every other aspect, from the HVAC system through the engines and seats to the tonneau cover, not to mention safety features and material quality. 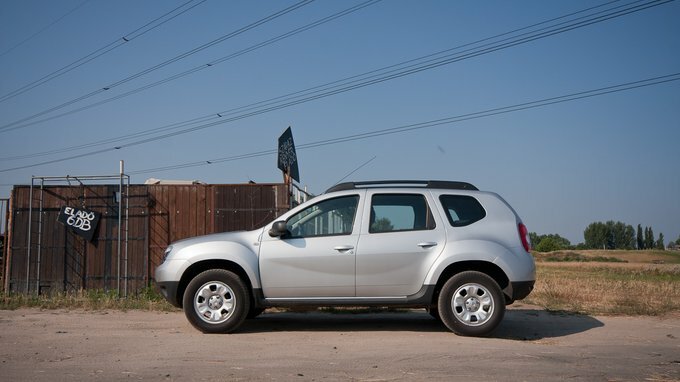 In fact the Yeti and the Duster are no longer in the same league, even though both come from the former Eastern Bloc. I kept thinking about a legitimate competitor for the Duster, one with matching price and capabilities. But you cannot even buy a Chinese-made SUV for this much. Either way you look at it, there is only one possible conclusion. The Dacia is so cheap it defies comparison with anything. If you cannot afford anything else, you don't have a choice anyway. If you do have the funds you only need to make a financial decision: would it make sense for you to pay more for certain intangible merits? 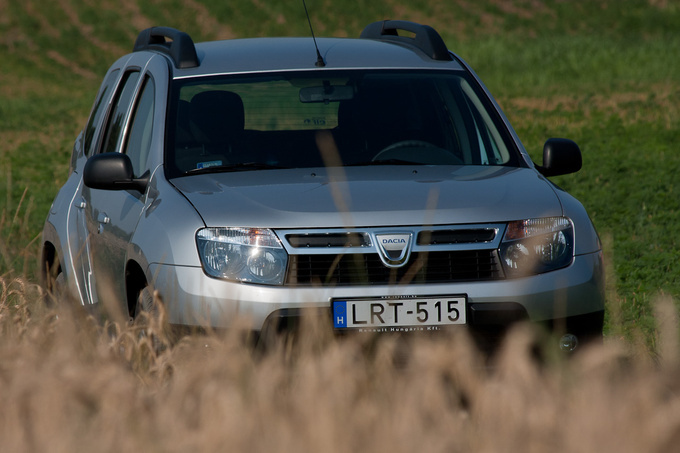 This does not make the Dacia better than any similar vehicle – it just makes it more affordable. So much so, that you can forgive its lowliness to a certain degree. In fact, if you want it as a user, inferiority becomes a virtue. At least you don't worry about it getting beat up and all. I am pretty certain Renault also knows this. In fact I'd bet this is exactly what they had in mind.